Sun Ra-The Eternal Myth Revealed Vol. 1: 1914-1959, a “14-CD boxed set documentary,” will be released in September by Transparency Records, it was announced by Michael D. Anderson, executive director of the Sun Ra Music Archive, and Michael Sheppard of Transparency. 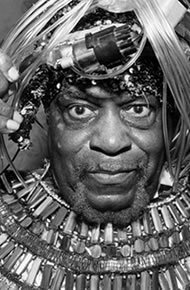 The set examines the first 45 years of Sun Ra as a musician. Pt. 1 of the set examines Sun Ra’s 1920s blues vocal and 1930s big band influences, his first recordings in 1946 as a piano sideman, his arrangements and compositions, Sun Ra as a singer in the late 1940s, his trio in 1949, creating the sound for vocalists Laverne Baker and Joe Williams, coaching the Hambone Kids in 1952 and the late 1940s Afro-Cuban influence of band leader Perez Prado and other rare facts. Pt. 2 examines the Mary Lou Williams influence, Ra’s solo piano recordings recorded in his apartment, the R&B/doo-wop influence of the jazz vocal group the Ink Spots, Ra coaching his group the Nu-Sounds, the Sun Ra Bebop Band live at Bud Land in 1956, a rare live performance at the Pershing Ballroom featuring Pat Patrick (baritone sax), Gene Ammons (tenor sax), J.J. Johnson (trombone), Sun Ra (piano), Ronnie Boykins (bass) and Robert Barry (drums), a feature on tenor saxophonist John Gilmore from a 1958 Bud Land performance, Ra and the band playing the pop tune “Tequila” and, to close, vocalist Hattie Randolph and the three takes of “Round Midnight” from the 1959 Sound Sun Pleasure album. 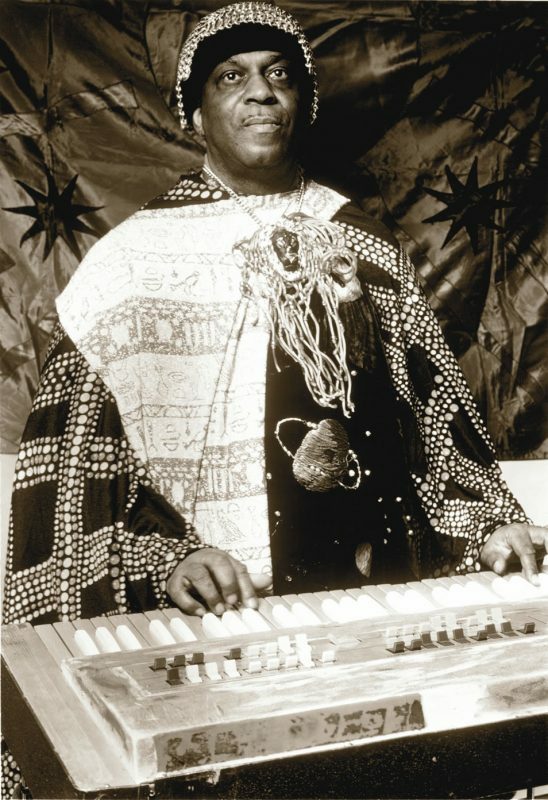 For more information, visit Sun Ra Archive.